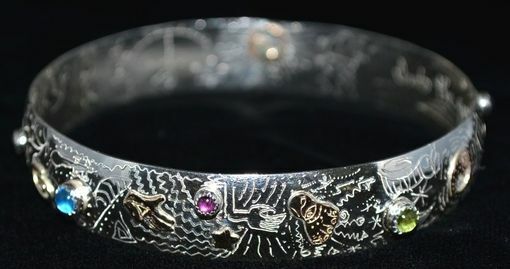 Bangle-Sterling silver + 14K gold fill with semi precious stones. Hand engraved front and back. Back has writing.